Recently, owing to some maladjustment in diet, Bhagavan’s health has been somewhat indifferent. Noticing this, a rich devotee, by name Kamala Rani, sent a soup made of costly vegetables and sweet grapes to the Ashram one morning, with a request that it might be served to Bhagavan. As it was received just as Bhagavan was about to take his food, Bhagavan accepted it. Next day, she again prepared it in the same way and sent it to the Ashram. But this time, looking at his attendants, Bhagavan said, “Why this daily? Please tell her not to send it henceforth.” The lady, however, sent it the following day too. The thing stopped there. 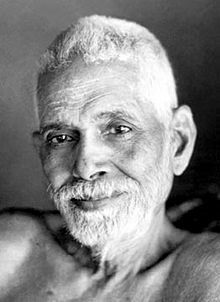 Bhagavan told us several times that while he was living on the hill he was eating bilva fruit (a sort of wood-apple) for some days and sustaining himself on it. Bhagavan does not like to eat any food without sharing it with the people around him.